Now this passage in the original theory book is just the tip of the iceberg. In the twenty some-odd years since we wrote this, I’ve discovered a whole bucket of insights and practical tips that can really leverage Dramatica (both the theory and the software) to far greater power in their application. Speaking of Dramatica software, this is one of the few passages in the theory book that references it when it says, “By telling Dramatica” and “Dramatica will be able,” which clearly are not speaking of the theory by itself. While I’m on this topic, let me hold forth a bit about the relationship between theory and software so we can clarify that issue, be done with that, and move on. First of all, the theory is a conceptual construct that accurately describes the function of the forces that make up narrative. In other words, the theory really sees narrative as a collection of dynamics that are interrelated, rather than seeing narrative as a structure made up of story points. “What about the Dramatica Chart?” you might ask. “That’s made up of all kinds of structural points including some called ‘elements’ – you can’t get any more structural than that.” Well, now, that’s not exactly true. It’s how it appears, to be sure, but that not really what it is. (Notice how I’m diverging farther and farther away from practical tips here, but I promise: I’ll get to those down near the bottom of what now appears to be one freaking huge annotation…. Every item in the Dramatica Chart (AKA the Dramatica Table of Story Elements) is actually a process, treated as an object. WTF? Okay – imagine you make a list of chores for the day that includes washing the dishes, paying the bills, and going shopping. Each of those is really a process, isn’t it? But on the list, they are all treated as things: chores. By thinking of a complex process at a thing, the complexity kind of melts away so that you can begin to see how one “thing” relates to another. The Dramatica Chart is, essentially, a map of how all the processes that make up narrative relate to one another. By treating them as objects, we can see those relationships more easily (and some of them are so subtle that you can’t see them at all until you create a chart in that manner and get rid of all the complexity). So, we described this model of structure mathematically. We realized that the way these elements could go together could be described by algorithms and these algorithms became a computer implementation of the model of DNA of narrative that is the story engine in Dramatica software. Everything else in the software – the tools, features, interface and questions – are all just ways of accessing that algorithmic model. The idea is to treat the model like a big piece of marble. Michelangelo said, he just chipped away anything that didn’t look like what he was trying to portray and what was left was the image he was going for. That’s how you use Dramatica: answer the questions so it sculpts the model to gradually look more and more like what you have in mind for your story. Eventually, you’ll enter enough information about your mental image, that the model with all its DNA-style algorithms can determine that the unseen in-between impact of all your choices on each other can pre-determine what other potential choices must be if they aren’t to work against or undermine what you’ve already said you want to do narratively. In plain language. The more information you put into the model about your story, the more you limit what your other options are, without working against yourself dramatically. Simple as that. You can see this at work in the story engine feature in the software. Every time you make a choice, the number of other options is reduced. In Dramatica Story Expert there is a feature that shows all the choices you explicitly make in blue, and when enough information is input that other choices can be made by the model, these implied choices show up in red. Interestingly, it never take more than about twelve explicit choices to know enough about your story to generate more than seventy other implied choices. Pretty weird, huh? But accurate as great-grandpa and his spittoon. Now back to the title of this original section in the theory book, “When to Use Dramatica.” Well, to use Dramatica you really need to know what your story is about before you start. Oh, you can use it without a clue, but then every choice you make is rather arbitrary. Of course, you might go into the process with no story idea at all and then answer questions like, “Is your overall story about a situation, activity, attitude or manner of thinking,” and that might actually help you gravitate toward one kind of a story rather than another. And, as you continue answering such questions as “Is your Main Character a Do-er or a Be-er” then you build up elements of the framework of a story, just like in 3D printing until you have a complete structure. It won’t have any subject matter yet – it will just be a bunch of girders and pulleys. 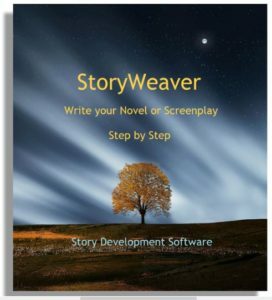 So, you’ll then follow through the storytelling section of the software to describe what kind of subject matter in your story is going to fulfill each of those structural requirements. For some folks, that’s the best way to go. But for me, and writers like me, I’m more like ol’ Michelangelo. I want to know what I’m trying to get at first, then use Dramatica to chip away at that block of Muse-provided marble until I can see the structure at the heart of the story I want to tell. Doing it this way, I already have all my subject matter and a story concept in mind. Dramatica then becomes a way of finding the dramatic center of all that material, the way you might find the geographic center of a country. 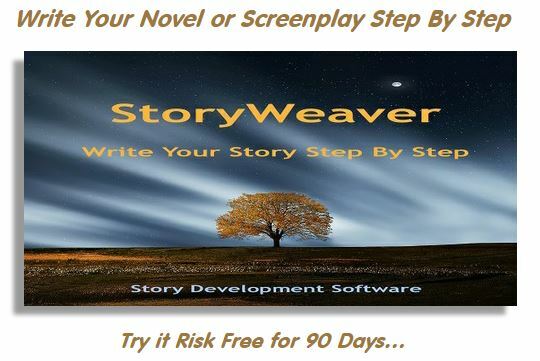 It brings clarity and gives you a pivot point around which to build and balance your story. That, in fact, is why I created StoryWeaver after co-creating Dramatica: to provide tool for generating ideas, zeroing in on subject matter. In short, to come up with people I’d like to write about before they became character, events before it became a plot, a message before it became a theme, and an atmosphere before it became a genre. Then (after using StoryWeaver to work out my story’s world) – then I go to Dramatica to X-ray the damn thing and see what kind of structural skeleton its got. So when to use Dramatica (software)? If you already know what your story is and how its structured, what do you need software for? If you need inspiration, use StoryWeaver. If you need structural grounding and guidance, use Dramatica. When to use Dramatica (theory)? The theory is an understanding. It doesn’t generate creative motivation. But, if you know it, the underlying concepts will open new doors to explore creatively and will almost subliminally guide your efforts so that the more theory you know, the more your stories will seem to be complete, make sense, not drive, and have consistency of outlook and consistency of impact. And if you use the Dramatica software at least once every few months, you’ll find that our writerly instincts are constantly drifting off true and being warped by new life experiences and old justifications. Dramatica points to the proper lane on the freeway that will get you there – the corridor of clear thinking. It doesn’t regiment your Muse but keeps it from running off a cliff like the vast majority of lemming-like writers out there who follow formulas right behind the writer in front until they end up in a broken heap at the bottom of what might have been the best story they ever told. This entry was posted in Dramatica, Dramatica Software, The Dramatica Chart, Using Dramatica Creatively. Bookmark the permalink.